A medium, round shaped, sweet apple originating in New Zealand. 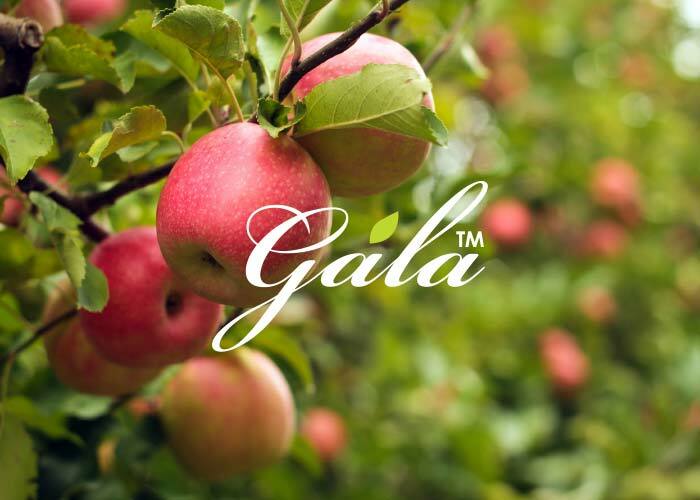 Gala are characterised by pale pink to bright red blush on the skin. The colour varies from yellow to almost orange with deep orange stripes. It has a dense sweet, aromatic and juicy with white flesh originating in NZ.